A lot of composer biographies- if not all - see their light because of the-often long-time- passionate interest of the author in the subject. 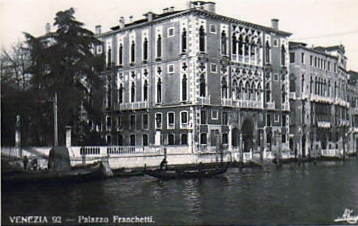 Thus Zandonai, Mascagni, Catalani, Alfano and Leoncavallo got excellent English biographies, Ponchielli a French one (see reviews section) and now Alberto Franchetti two (yes, two) German ones. Especially Cilea and Giordano still need an English opus. 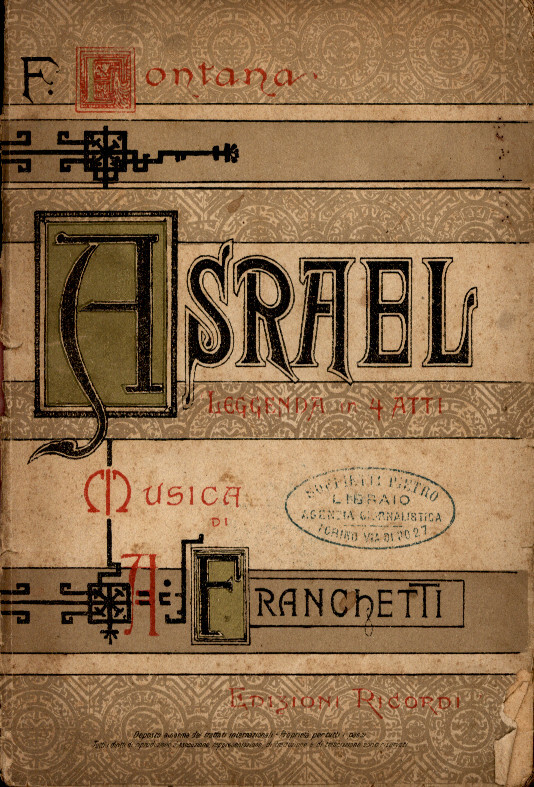 Alberto Franchetti ( 1860 -1942 ) is of course known to every serious record collector because of Caruso’s 1902 recording of the arioso Studenti! Udite from Germania. 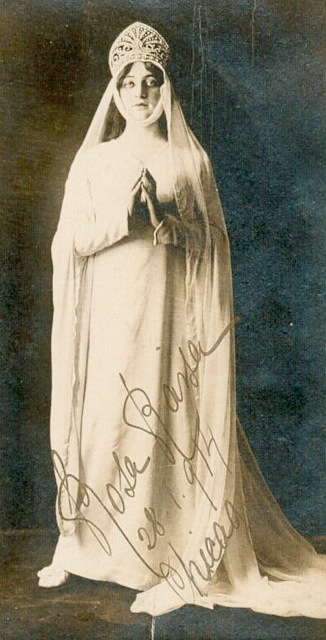 An aria more recently also recorded by Jose Cura. Thanks to a CD recording of Cristoforo Colombo and a DVD of Germania more music was re-discovered and interest in the composer and his music subsequently arose in the two authors of the respective biographies which sort of appeared simultaneously in Germany. 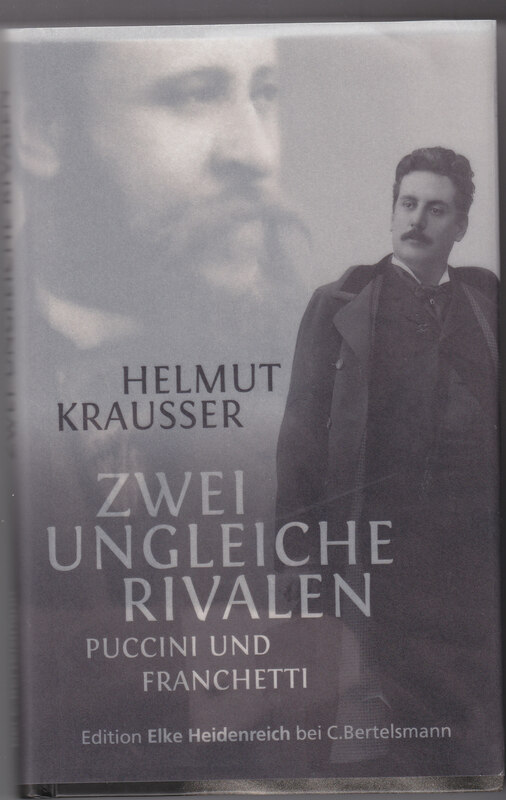 Helmut Krauser’s “Zwei ungleiche Rivalen” focuses more on Franchetti’s life (more interesting than his music) and his relationship with Giacomo Puccini. Krausser is to Franchetti what Phillips-Matz is to Verdi though on a lesser scale. He intertwined the Franchetti/Puccini stories rather well in a very enjoyable novel-like read unearthing many biographical details previously unknown making use of a lot of letters written by the composer, most of them to his dominant father. And what a story it is! 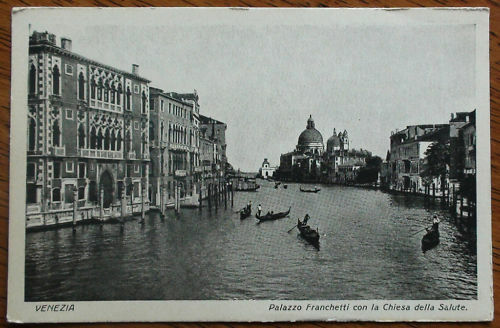 Franchetti an Italian composer who got his formation in Munich and Dresden, one who saw the 1884 Parsifal and who had an almost obessive appetite for women, fast cars and spending papa Franchetti's money. A family which went from riches to rags. The complete 'condition humaine' in one family saga involving a composer recommended by the great Verdi himself who declined an offer to compose a work on Columbus. 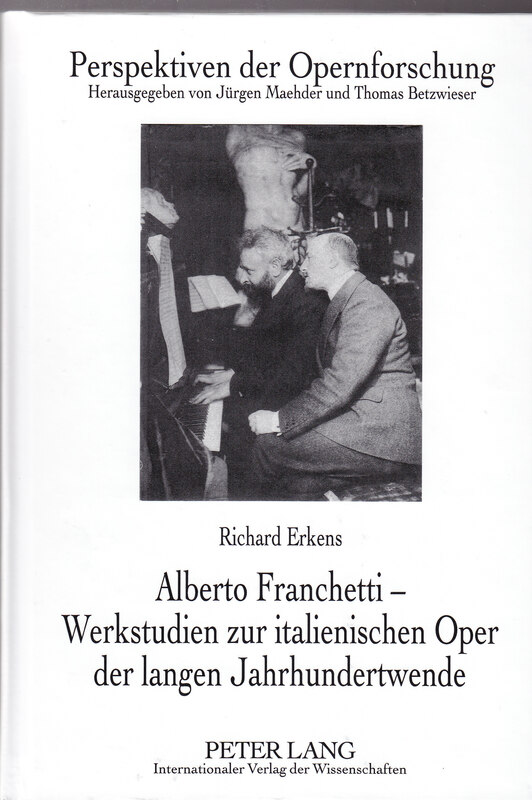 The book has a personenregister and a listing is provided of all of Franchetti’s works including operas, ballet music, opera projects, orchestral works, songs, and chorus music. 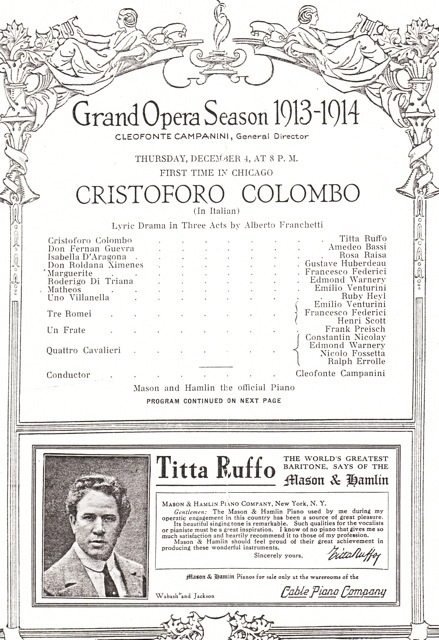 Opera historians will be fascinated by a complete listing of performances of Asrael, Cristoforo Colombo and Germania between 1888 and 2011. One major drawback here is the sad fact that the author does not give the casts. However he luckily gives us complete details of the world premieres of Franchetti’s operatic works which leads to fascinating discoveries. I had no idea for instance that Jane Bathori created a role in Germania. Both books complement each other and are a worthy addition to expanding our knowledge of a world of opera now sadly gone with the wind. Other recordings include versions by Mario Gilion, Edoardo Garbin and more recently Jose Cura. Giuseppe OPEZZO's version is extremely rare. Score of Notte di Legenda finally revealed.